Now that you are hard at work this week getting your personal financial planning together, you may be wondering what documents you should gather together and where you should store them. Where should I store my financial planning documents? Before you gather all of your documents, you need to have a safe place to store those documents. Some people like to use bank safe deposit boxes. 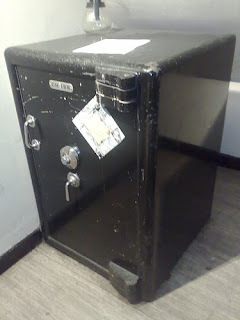 I personally like a fireproof safe to store my documents. I can keep it on site where it is more easily accessible to me. Wherever you keep your documents, be sure to inform trusted family members of how they can access them if needed. What financial planning documents should I store in safe place? List of insurance policies (life, health, disability, long-term care, auto, homeowners, renters), including the type, company, policy number, and name of insured. You can even keep the original copies of these policies in your safe if you have enough space. What do you need to accomplish today in order to get your financial planning documents organized?